Bars (Drinking establishments); England; History. Bars (Drinking establishments); Decoration; England; History. Amazon.com description: Product Description: This is a new edition of English Heritage's widely acclaimed study of that great British institution, the public house. First published in 2004, this was described as the best history of the pub available. Now updated and corrected, it offers a scholarly, yet accessible history of the origins of the pub and its development since medieval times. Alcoholic beverages have long formed a part of British culture and over the centuries the authorities have made strenuous efforts to control the form and operation of public drinking establishments (with varying degrees of success!). The Golden Age of pub-building was at the end of the nineteenth century and many of the finest examples are illustrated here. It was brought about by a combination of forces which are all explored: the influence of the Temperance Movement, competition from rival forms of entertainment, and efforts on the part of magistrates and government to improve the pub stock. The book contains a stunning photographic survey of our pub heritage and lists most of the finest and interesting surviving examples. This new edition also explains the changes that have affected pubs, their culture and appearance during the past seven years. 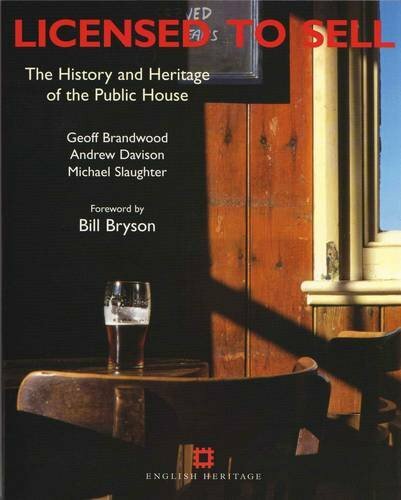 About: This is a new edition of English Heritage's widely acclaimed study of that great British institution, the public house.